Brand new and first quality china, which is dishwasher, freezer and microwave safe. A delightful small mug in gift box. 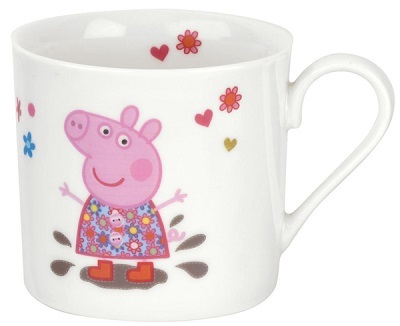 Peppa Pig one side and George the other.